Scout Taylor-Compton, Sid Haig, Bill Moseley and Lynn Lowry all star in this bloody horror comedy about a monster baby that gets disgarded. Stalking and murdering its way back to the loving, nurturing arms of its mother. From the mind of Robert "Corpsey" Rhine this is a gross, crass, hilarious yet also quite moving, it's a great watch. A crazy psychedelic 80's inspired revenge movie that sees Nicholas Cage rampaging against a hippy cult that take a liking to his girlfriend. 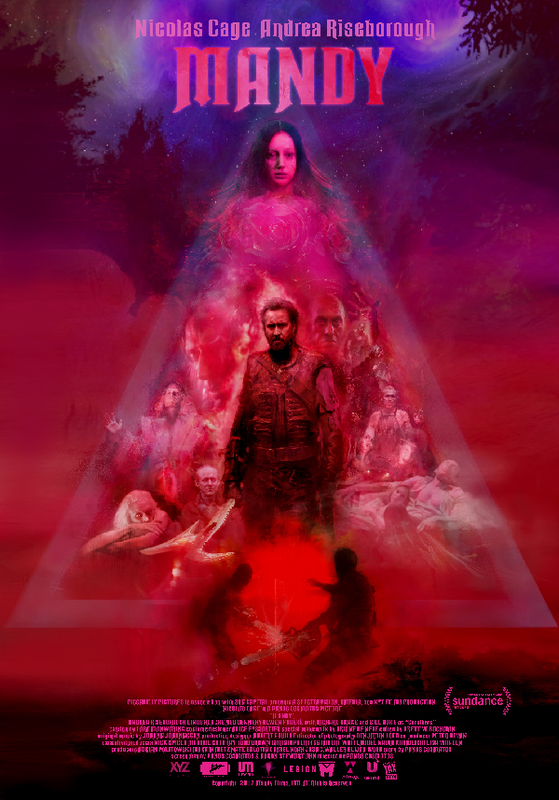 It's very trippy, spectacularly violent and excellently acted by all involved. 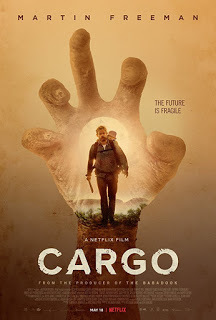 This is the first of two Cage movies featured on my list this year and he was great in this but I think the whole movie (Cage in particular) was hyped up a bit too much and I personally think he has been crazier in other roles. I also found it verges very precariously on the cusp of being too Arthouse for my liking that being said there is a hell of a lot to like about this and it totally deserves a place in anyone's top ten. The highly anticipated spin off/ sequel of the late 80's Arnie favourite was actually a lot better then the other sequels and spin offs that have been previously. With a great balance of nostalgia and new ideas this see's the son of a soldier open a box containing the helmet of one of the Predators which ends up summoning one to his house. Not only that but a hybrid Predator that appears to be hunting the other one is following. This is a great nod to the original in places without going over too much old ground. 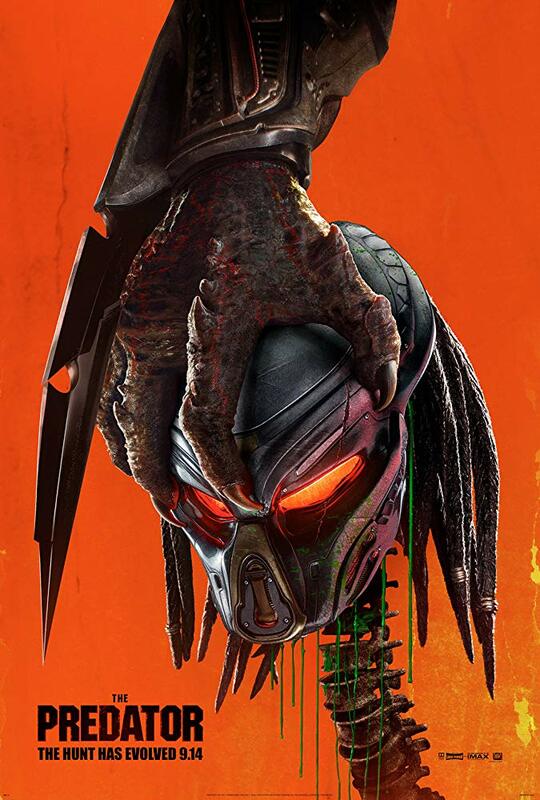 With lots of predator action and a compelling enough storyline this is a great new and fresh edition to the franchise. Another possibly over hyped movie to hit the cinemas this year but it did live up to the hype pretty well. An alien race has landed on Earth and the only way to stay under their radar is to be totally silent at all times. This of course is almost impossible to do but some people are managing to survive. We follow Lee (Krasinski) and Evelyn Abbott (Emily Blunt) and their family as they try and hold on to some form of normality. Creepy and intense it was a fantastic movie to see at the cinema. I have never been in a room full of so many people that are absolutely silent themselves hardly even daring to breathe and hanging on to every moment. It was a great experience. Something in the airwaves is spreading a pandemic that causes parents to violently attack and kill their offspring. 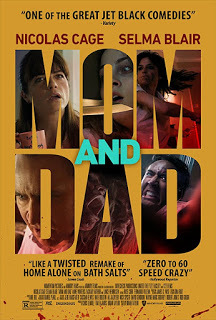 This follows Brent (Nicholas Cage) and Kendall (Selma Blair) as they turn against their kids and the lengths they will go to to get at them. Weirdly it's not a particularly bloody or gory movie, there is a bit but it doesn't go too over the top. It's nerve tingling and very intense, witty and clever with an ever present underlying feeling of unease. Cage and Blair have a fantastic onscreen relationship and Cage really does unleash his inner crazy in this which is just glorious to behold. I feel with all the panic and crazy flying around the need for extreme gore would've been totally unnecessary. 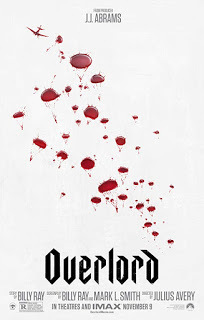 Mostly a war movie with a lovely zombie/monster element to it this is exhausting to watch but so incredibly good. A small group of US soldiers on the eve of D-Day are sent to a remote French village to blow up a Nazi communication tower. Once there they discover the radio tower houses an underground lab that is experimenting on villagers and kidnapped US soldiers to create a thousand year warrior. It wasn't exactly the Nazi zombie fest I was at first expecting but I absolutely loved it for the non stop action, the monsters/ zombies were fantastic, masses of gore and a ton of great practical effects. Again another hugely anticipated movie with probably one of the greatest trailers of the year being both creepy and incredibly deceiving. The whole movie is very cleverly done which makes it all the more unnerving. So much so that months later I am still freaked out by one noise in particular and traumatised by that argument at the dinner table. It's not your typical average supernatural horror at all combining all manner of uncomfortable feelings of hopelessness, guilt and grief as well as folklore and witch craft. I expect that by now most people who wanted to see this have and I hope it was everything you hoped it to be. The ending went seriously bizarre which I appreciated as it kind of lightened it up a bit for me. 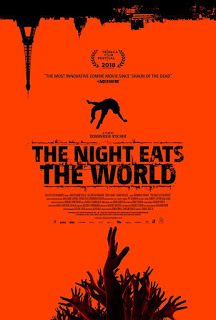 One of quite a few rather awesome zombie movies released in 2018, this one went a little under the radar but it's kind of like 2018's version of IT STAINS THE SANDS RED as it is one of the quieter ones featuring one main character. It's the story of one man trapped in a block of flats after a zombie outbreak. He has to survive the threat and the loneliness for the foreseeable. It's not all out action but it's compelling, emotional and the zombies themselves have a rather creepy twist to them and look fantastic. The feature length version of the 2013 7 minute short of the same name by the same directors. 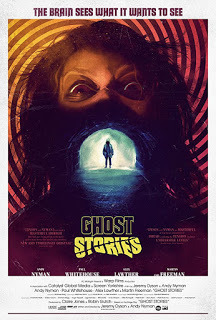 I adored the short and at first was apprehensive when I first heard about this feature length. Very early on in its production a heard a lot of buzz words about it I didn't like, I remember the words "family movie" mentioned a lot and kind of dreaded it. When I heard Martin Freeman was to be the lead it didn't do much to dispel the family movie vibe for me either. Obviously I watched it as soon as I could and I absolutely loved it. 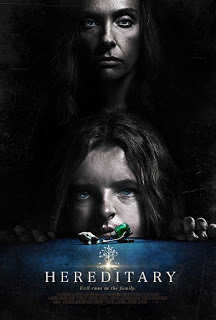 I think the family movie tag was a red herring it's not exactly family friendly but its another one that is on the quieter side of the zombie genre. It's heartwarming and tragic rather than an action packed blood bath but again is very compelling and by the end I was sobbing like a baby. Freeman and the rest of the cast were fantastic. The zombies are pretty slimy and gross and again have an odd quirkiness to them that is a little different. The main threat in this is a human element combined with a race against time that really brings on a sense of urgency. Even the small child and the baby that feature throughout were pretty good and that's saying a lot coming from me. 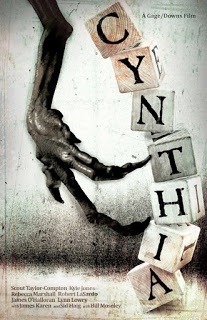 A fantastically eerie British anthology linked seamlessly by an incredibly well thought out, distressing and twisted tale from start to finish. I saw this way back in March and it has stuck with me ever since, I knew I wasn't going to see another movie this year that would knock it off my top spot. This was another one that seriously creeped me out from the start only this one just got more traumatic rather than lightening up at the end. Andy Nyman, Paul Whitehouse, Martin Freeman and Alex Lawther are all absolutely brilliant in their roles none of them wavering from their often bizarre peculiarities. The first story plays out as a fairly straight yet very creepy haunting story and then the others follow in a similar vein yet getting more and more unorthodox. When I saw this I went with a couple of friends one of which loved it as much as I did but my other friend really didn't like it at all, she can't give me a valid reason for it though so her opinion is null and void. This is a great movie and one I will watch many times over there can be no other number one movie for 2018 in my opinion! I am very thankful that 2018 gave us some great zombie movies as my lists over the last couple of years have been severely lacking, but not all of them lived up to their potential and one got totally slated almost as soon as it came out. REDCON-1 tried way too hard and was ridiculously over long but it had some good zombies and kills in it to just about hold our attention. DAY OF THE DEAD: BLOODLINE was not a patch on Romeros but were we seriously thinking it would be?!!!? I'm not saying it was a masterpiece but I did kind of like it. There are far worse ones out there and I just don't believe it deserved the abuse it received. One zombie movie I found that really wasn't to my liking was PATIENT ZERO. I felt that received undeserved praise as I found it dull and very uninspiring it just seemed to be cashing in on the zombie theme whilst trying to get British actor Matt Smith and a few recognizable Game Of Thrones actors to don American accents. One which only just missed out on my top ten was Irelands THE CURED. A bit like British zombie drama series IN THE FLESH this takes the idea of a curable rage virus that then ostracizes the sufferer from being integrated back into society. It of course has a lot of difference 's to the British show but it follows a similar idea and is pretty good but I felt it could have been a bit more focused at times. As I mentioned earlier I didn't get to see too much more on the mainstream side of things but I was a bit excited when I heard some positive feedback on Jeremy Saulnier's Netflix movie HOLD THE DARK especially when I saw that the very yummy Alexander Skarsgard was in it. I was left very disappointed after watching it in fact I seem to have blocked a lot of out of my mind as I don't really recall much of it right now to write about. I just remember it being rather dull and confusing. It did have some very violent fight scenes that reminded you you were watching a Saulnier movie but it was a bit of a let down in the story department. You may be aware but finally Chris Sun's creature feature BOAR made it to the UK in time to be screened at London's top horror film festival FrightFest! This has been a movie I was very excited to see as I've been following its progress and eagerly awaiting its arrival to British shores for at least 2 years now and guess what... I still haven't bloody seen it (insert sad face here)!!!! I have heard some positive feedback from those that did get to see it and I am even more keen to get my hands on it on its release in February 2019. Maybe by next year's list you might finally get to hear my thoughts on it... bet you can't wait!! 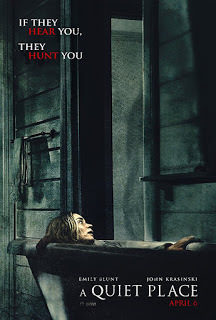 Having already seen quite a few trailers for some interesting movies coming out in 2019 I'm almost certain this year will be another good one for horror!